First Time Property Owners Success is Within Your Reach! Get real estate best practices and industry secrets from one of the best realtors in the business! Investing in your first property is not a decision to be taken lightly. There’s a lot to consider and one slip, one mistake, could result in a substantial hit to your finances. As you embark on this exciting journey you probably have a lot of questions. Lenders, contracts, all those real estate terms, and do you really need a realtor? So many things to figure out. There’s a lot of information to wade through, but it just got a little easier with this comprehensive course just for you. Have questions? Register today for one of our Live Local Class. FREE First Time Home Buyers Event. We give you the knowledge and expertise needed to prepare for your first home investment in Colorado. Successful realtor, Cindy Marlowe, guides first-time property owners through what they need to know from hiring a realtor to closing the sale. She draws from her years of experience as a top realtor and offers her hard-earned expertise in buying a property for the first time. Now, for the first time, she is sharing the tip and best practices that got her to where she is – and help you make sure that the biggest financial investment you will ever make goes smoothly from start to close. Cindy’s impressive career is highlighted by her many accolades for her success as a premier realtor. She has been featured in both “O” Magazine and Entrepreneur Magazine as one of Denver’s top Leading Women in Business. As the owner of Redhead Luxury Properties, her expertise and talent have propelled her to the top of her industry. She began her career as a legal professional, working as an executive legal secretary and paralegal for 13 years. This experience has given her a distinct edge in the real estate industry as she expertly guides her clients through the ins and outs of buying, selling, and investing in real property. She brings these unique benefits to her course as well. Whether you are buying your first family home, a condo, or an investment property this course will provide you with what you need to know to make sure it goes off without a hitch. The path to ownership can be rocky, but this course lays a solid foundation that will ensure the process goes as smoothly as possible. What’s included in the program for First Time Buyers? Each course is led by Cindy, with a guest speaker from the mortgage and lending industry, and both are available to answer your questions. REGISTER for our LIVE CLASS TODAY! Get your questions answered and the best local advice to ensure your transaction goes smoothly, from start to close. Select Class Date * April 25 2019 6:00 PM - 8:00 PMPlease notify me of future dates. 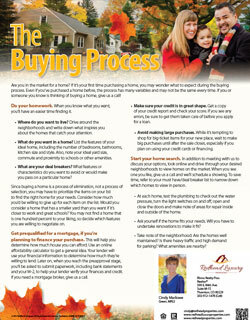 If it’s your first time purchasing a home, you may wonder what to expect during the buying process. Download this helpful guide on where to start. 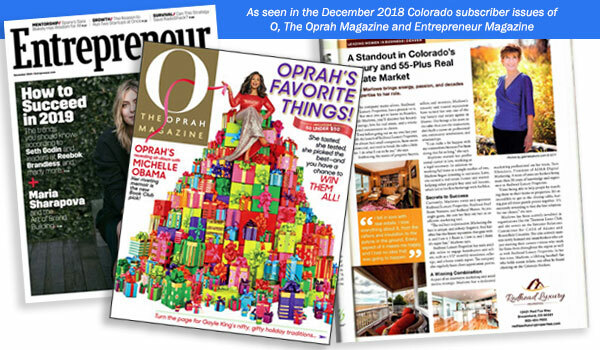 Redhead Luxury Properties is a top-rated Realtor®, 2018 honoree of the Broker Agent advisor certificate of excellence, Top rate Zillow agent, and Cindy Marlowe is a featured Leading Woman in Business | Denver in the 2018 December issues of O Magazine and Entrepreneur magazine. Cindy Marlowe and Redhead Luxury Properties are uniquely positioned in the Colorado real estate market to help you make the right decisions when it comes to buying your first property. She brings to the table decades of experience meeting the needs of buyers, sellers, and investors, but she saw an increasing need to educate people who are purchasing real estate for the first time. After seeing so many first-time property buyers make some detrimental mistakes, she recognized a need for education in the purchasing process. Learn what it takes. Watch Now! Cindy approaches each segment of the course with professionalism, expertise, humor, and a touch of sass. She lives up to the promise of her fiery hair and course participants are treated to an entertaining, engaging, and educational time from start to finish. If you are considering making a real estate purchase for the first time, or you’ve recently made your first real property purchase, this course is for you. Get the information so that you know what to expect and how to manage any unexpected issues. You don’t want to miss out on this incredible opportunity! WATCH NOW and get the best advice to ensure your transaction goes smoothly, from start to close. 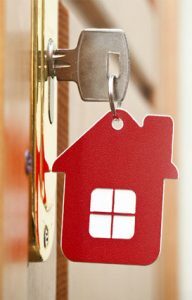 Don’t sign on that line until you’ve gone through the Navigating the First Time Buyer Process course.